The council has underestimated working-class determination. Hundreds of people from Blackwood and Pontllanfraith marched to keep open their local leisure centre and swimming pool. 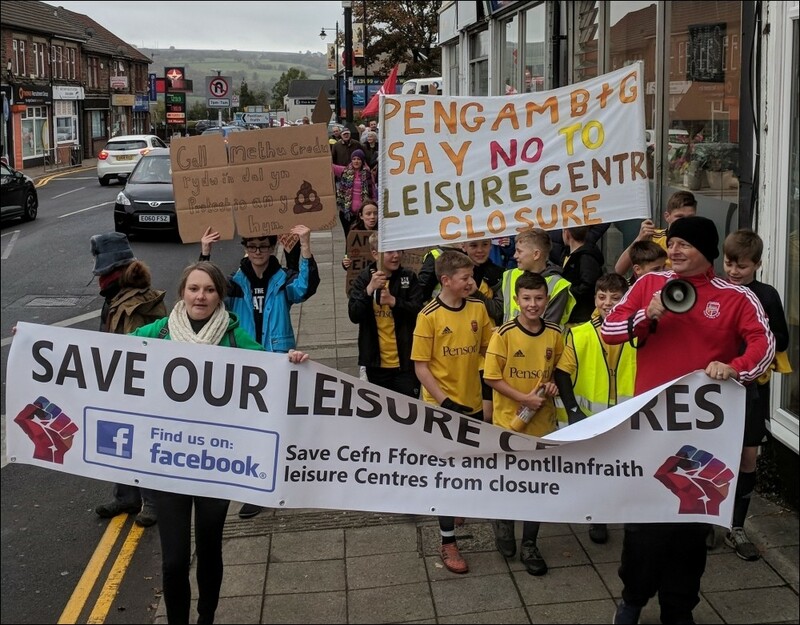 Labour-controlled Caerphilly Council wants to close Pontllanfraith leisure centre and Cefn Fforest swimming pool to 'rationalise' leisure facilities. Twice attempts to close the centre have been beaten off by a determined campaign. But now the council has come back with new proposals to close the centres and build houses on the land. This is about more than stopping cuts - it's about preventing developers moving into bulldoze community facilities on what they see as prime land. Campaigners knew they'd need to raise the stakes and called a march which the council tried to block by requiring public liability insurance. Campaigners refused to back down. They worked hard to publicise the march. Despite short notice - and the fact that few had yet heard about the council's plans - over 200 local people turned out. Home-made placards rode high behind the Pengam youth football club carrying the banner. Marchers ignored threats from the council and flowed onto Blackwood High Street, chanting and blowing whistles. Significantly, Corbyn supporters had been to the fore in forcing the Labour council to back down before. This time they won the backing of Islwyn Constituency Labour Party for the march. Contingents from Caerphilly Trades Council and the Unite Wales Young Members Executive also took part. The determination of campaigners was shown by a succession of fighting speeches. 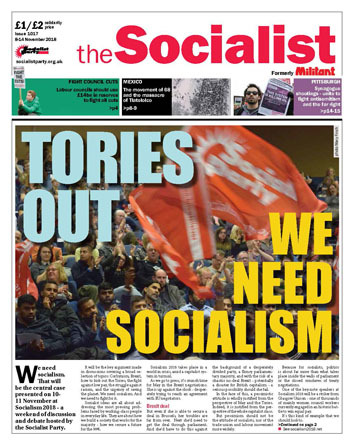 Socialist Party member Mariam Kamish, secretary of Caerphilly Trades Council, got the biggest round of applause when she said: "This campaign is here to help councillors out - before they find themselves down the job centre." "We're here to give them one of their own-style 'performance reviews'" she said to applause. A surprising cameo appearance was made by former Labour leader and anti-Corbyn politician Neil Kinnock, in a rare visit to his old constituency. The crowd heard him politely but he received a mixed reception and remained incognito for most of the event. As one campaigner put it: "Kinnock, Touhig and a few other undesirables rolled up, but my goodness, Kinnock left with several fleas in his ear". Hoxton: "Stop this unwanted development"